WHAT HAPPENED TO THE MIDI PLAYBACK? That’s what I asked after updating GZDoom to find that a few of my maps‘ background MIDI music wasn’t playing any more! So what happened? I’m no expert on the matter, but it seemed to coincide with when GZDoom went fully GPL compliant in version 3.0.0 – more specifically, the removal of FModEx which caused the transition to OpenAL. This is great news for the most part as now people can make their own games in the engine. However, a side effect is the midi device most people are used to, “Microsoft GS Wavetable Synth”, seems to not be able to output correctly / consistently. This isn’t the case with all MIDI’s, but for many of them the background music either wouldn’t play at all, or took a very, very long time to start playing. 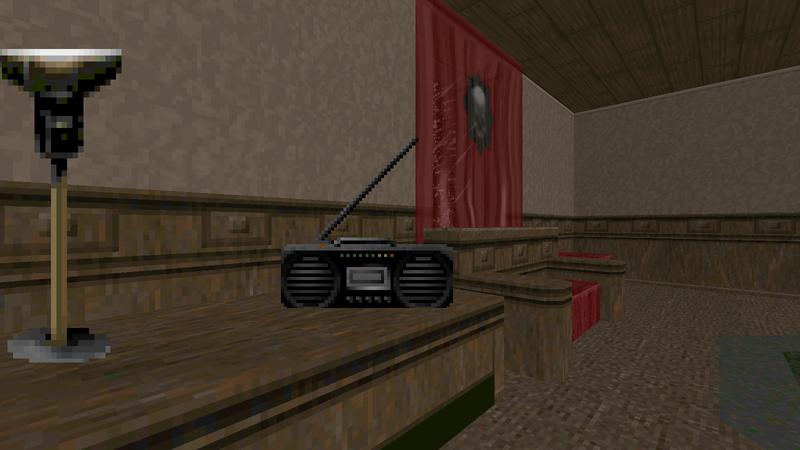 It seems music in Doom’s MUS format worked okay, but that isn’t particularly useful. The solution was to switch to Fluidsynth or one of the other MIDI devices – however this doesn’t sound the same and you may not be happy with the result. I personally was eager to restore the sound of the original Microsoft GS Wavetable Synth. Fortunately, Wartorn on the Joy Of Mapping’s Discord server explained that you can feed “soundfonts” to Fluidsynth. They sent me a soundfont which is, as far as I can tell, identical to the Microsoft one! Below is a download link to the file in question, so you too can use it. Unfortunately Wartorn doesn’t know the original credits for whoever created the soundfont file, so thanks to whoever you are – you’re a saviour! HOW TO INSTALL THE SOUNDFONT? On this screen there should be an option to set the soundfont, type in the name of the new soundfont. Assuming you didn’t rename the file you downloaded above, this will be “gm.sf2” without the quotation marks. There you have it, you should now be able to hear the “standard” MIDI soundfont that everyone knows (and loves)!